Every Jordan Brand shoe model won’t be complete if it will not be released in a Chicago Bulls-inspired colorway. 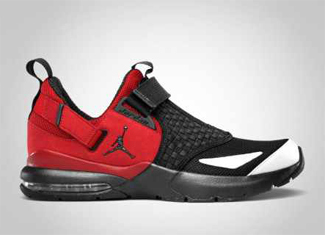 And this month, Jordan Brand will be releasing the Bulls-style Jordan Trunner 11 LX. The Jordan Trunner 11 LX, which was released in several colourways last July 2011, will be released in Black/White – Varsity Red this month, which is arguably one of the best-looking editions of this model. This running and cross-training shoe is expected to get a lot of attention this month so watch for it and grab one immediately after its release!